For shopping fun, head to Chandni Chowk or Meher Chand Market. You'll find plenty of places to visit near New Delhi: India Exposition Mart (in Greater Noida), The Great India Place (in Noida) and Ambience Mall (in Gurugram (Gurgaon)). The adventure continues: take a stroll through Hauz Khas Village, take in panoramic vistas at Qutub Minar, tour the pleasant surroundings at Humayun's Tomb, and pick up some new kitchen skills with Gourmet Desire. 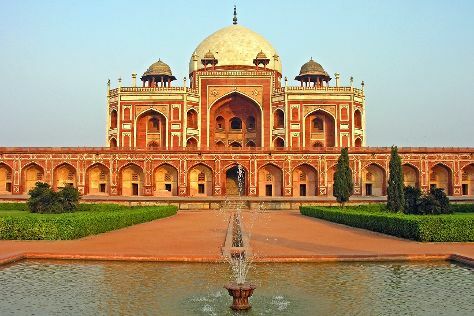 To find reviews, traveler tips, and more tourist information, read our New Delhi trip itinerary planner . November in New Delhi sees daily highs of 33°C and lows of 15°C at night. Wrap up your sightseeing on the 18th (Sun) to allow time to travel back home.